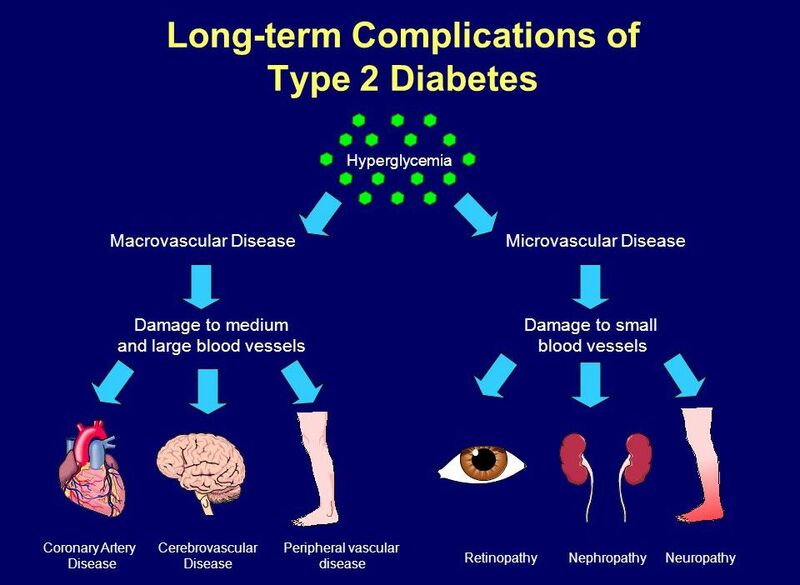 If diabetes type 2 isn't treated, it can lead to a number of health problems. 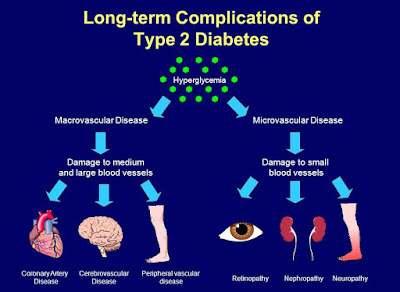 Even mild type 2 diabetes with mildly raised blood glucose level that doesn't cause any symptoms can have long-term damaging effects. The longer you have diabetes, the greater the chance you'll get chronic kidney disease. Diabetes is the leading cause of kidney failure. It's to blame for about half of new cases. Controlling your blood sugar, blood pressure, and cholesterol can lower your risk for this complication. Yearly tests and medications can slow the disease and keep your kidneys healthy. High blood sugar can damage the tiny blood vessels that bring oxygen and nutrients to the retina, a critical part of your eye. 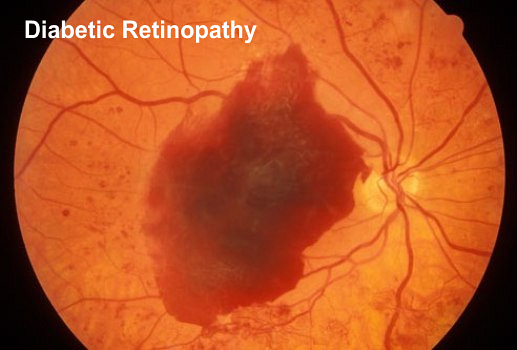 This is known as diabetic retinopathy, and it can lead to vision loss. It's the leading cause of new cases of blindness in people between the ages of 20 and 74. Pools of blood, or hemorrhages, on the retina of an eye are visible in this image. 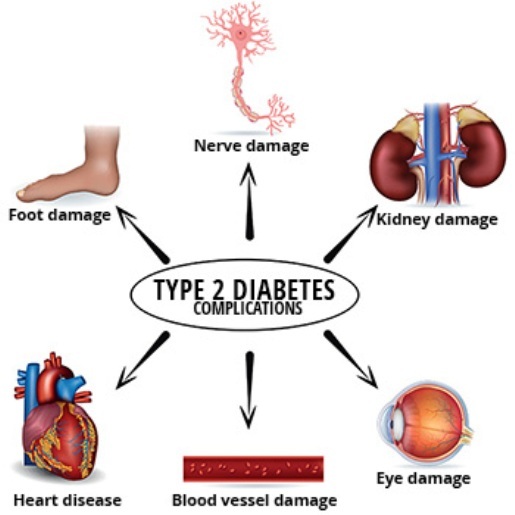 Over time, uncontrolled diabetes and high blood sugar can cause nerve damage. Symptoms include tingling, numbness, pain, and a pins and needles sensation - often in your fingers, hands, toes, or feet. The damage can't be reversed, but there are treatments. Controlling your diabetes can help prevent further harm. 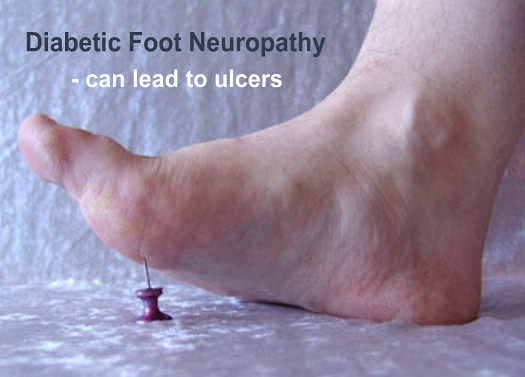 Diabetic nerve damage (diabetic neuropathy) can make it hard to feel your feet. You might not notice wounds. At the same time, hardening of the arteries reduces blood flow to the area. Even a small injury can cause foot sores and gangrene. In severe cases, infections can result in an amputation. • Talk to your doctor about being tested for pre-diabetes. Stress can boost your blood pressure and blood sugar. Some people don't do anything for it. Others turn to food to cope with it. Instead, practice relaxation techniques like deep breathing, meditation, or visualisation. Talking to a friend, family member, counsellor, or a religious leader could help. If you can't beat it, reach out to your doctor.